A happy family is our only king! In my kingdom, all of them are heroes! I do not like the throaty family ti ... simpler! More fashionable! If you want a family tie that does not look the same, I recommend the Ping Pong family t-shirt. LOVE logo and heart shape are put on the small stem embroidery to introduce the distinctive Neat Man to man T-shirt family look. 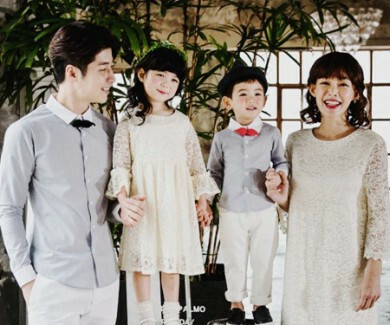 Family look loveliness of directed Delicate ruffles and keolreogam! Ali seemed to spring to come in bright color family look!